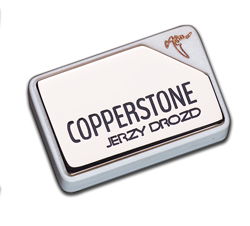 JERZY DROZD prides itself on the personal and exquisite relationship it maintains with each one of its clients, on a par with the extremely high level of the creations that emerge of master Jerzy Drozd hands. When you acces JERZY DROZD universe through a JERZY DROZD Client Adviser, you will immediately appreciate the human quality and ethics of the house. In order to protect this essential relationship, JERZY DROZD has prepared the following article: a commitment that will alllow us to remain always close to our bone fide clients; those who must receive the direct and personalized service they deserve. Your relationship with the house JERZY DROZD comprises both the access to and use of the Website that JERZY DROZD puts at your disposal, as your communications with us, either by email, regular post mail or telephone, as well as your scheduled appointments or during the luthier courses taught by master Jerzy Drozd. These conditions - plus those which could be applied in specific services - are considered unequivocally accepted by the mere use of our services. If you want to create an account on JERZY DROZD Website or if you want to make an inquiry to a JERZY DROZD Client Adviser, please be sure to review the first section of this page, General Conditions. You can view the location and contact details of the house JERZY DROZD in the section CONTACT of this site. By registering a JERZY DROZD account or submitting any information to JERZY DROZD, you certify that the information supplied is true and correct to the best of his knowledge and belief. In addition, you represent and warrant that you are a bona fide end-user customer. You also warrant and agree that you are not impersonating any person or entity, whether actual or fictitious, or misrepresenting your affiliation with any other person or entity. Creating a 'JERZY DROZD PREFERRED' account is simple, just register or log in to your JERZY DROZD BASIC ACCOUNT. Once your basic Account is created, upgrade to a JERZY DROZD PREFERRED account by editing your profile and filling in the fields under 'MY JERZY DROZD PREFERRED'. You will be asked to provide your full name, address and contact details including telephone, email along with your Date of Birth. If you are under the age of majority or otherwise cannot lawfully enter into a contract, you must have your parent or guardian place an order on your behalf and thereby assent to these conditions. In this case, please CONTACT us. If despite our efforts JERZY DROZD believes, for legitimate grounds, that your request would violate these conditions, JERZY DROZD may refuse such request. All request placed through JERZY DROZD are subject to acceptance by JERZY DROZD. Breach of this general conditions will give JERZY DROZD the right to claim compensation for damages of any kind caused by such non performance. The entire contents of this website are protected by industrial and intellectual property rights that the user must respect. All copyrights and other intellectual property rights and other rights regarding the content of this document (including its design, logos, trademarks, images...) are owned by JERZY DROZD. Ms. Lorenna Del Mar, as the original author, own the copyright of all the literary texts, except for those where other author is expressly indicated. −That it is consistent with the purposes of the Website. - That it is done with the sole purpose of obtaining information for personal and private use. It is expressly prohibited for commercial use or for distribution, public communication, transformation, or decompilation. - That none of the contents related to the Website be modified in any way. - That no graphic, icon, or image available on the Website be used, copied, or distributed separately from the rest of the accompanying images. - That it is clearlyindicatedthe sourceand author(in the casethe writings) and the link to thewebsitewhere the contentwas hostedinclusion. For permission requests, address Personal Assitant to CEO at the email you will find at CONTACT section of this site. Any third party link to the Website must be to the home page; "deep links", "framing", and taking advantage of any Website content for unauthorized third parties are expressly prohibited. The unauthorized use of the information contained in the Website, its resale, and any breach of JERZY DROZD intellectual or industrial property rights will result in legal action. Personal information provided by you on the registration form will be made accessible to duly authorized JERZY DROZD personnel and occasionally to persons or companies who carry out operations in relation to our business and for your service (such as private couriers, etc...). All such persons are subject to confidentiality agreements and the respect of your privacy. The Personal information made available by you will be used to provide the requested services and may be used to provide information relating to JERZY DROZD products and events. Other than as stated above, JERZY DROZD will not use your personal data for unsolicited communications and we do not sell, rent or otherwise make available any personal data submitted to us to any third parties unless it is to our legal advisors or where so required by law or a court decision. JERZY DROZD will use its best endeavors to ensure that such data is kept secure at all times. In all cases and on request, JERZY DROZD will remove your personal information from its database thereby canceling your registration to any of the JERZY DROZD services. You are also advised that upon written request you may inspect your personal data and/or request that information about you be corrected, amended or deleted. All requests relating to your personal data as well as any request to cancel your registration for services offered by JERZY DROZD should be e- mailed to a JERZY DROZD Client Adviser (consult CONTACT section). A "cookie" is a data file which is installed in a user’s computer, tablet, or smartphone upon accessing certain web pages; it is used to collect and store information about browsing preferences from that particular device browser. JERZY DROZD may use "cookies" when a user browses the Website. Thanks to "cookies", it is possible for the JERZY DROZD server, or that of the third party acting on its behalf, to recognize the user’s computer browser with the purpose of simplifying navigation, allowing, for example, previously registered users to access areas, services, or promotions reserved exclusively for them without having to log in again each time. Cookies are also used to measure the audience and other traffic statistics, and to monitor the progress and number of visits of users. A user has the ability to configure his or her browser to see a warning on screen when receiving "cookies" and to prevent them from being installed on the hard drive. Please refer to your browser instructions and manuals for further information. It is not necessary for users to allow the installation of “cookies” issued by JERZY DROZD, or a third party acting on its behalf, to use the Website. Please note it will be necessary for the user to re-register for each of the services that require prior registration or login, however. If the user has enabled the installation of "cookies" in his or her browser, it shall be deemed for all intents and purposes that the user has given his or her consent for the storage of “cookies” in connection with their access and use of the Website. JERZY DROZD reserves the right to make, at any time and without prior notice, changes and updates to the information contained on the Website, as well as to its configuration and presentation and the terms and conditions of use. JERZY DROZD makes no warranties or representations regarding lack of interruptions or errors in access or content on the Website, nor does it guarantee the Website will be up-to-date. As soon as it is aware of errors, connectivity problems, or inaccuracies of content, and provided that no cause exists to make it impossible or difficult to execute, JERZY DROZD will undertake all necessary actions to correct the errors, re-establish connections, and update contents. Access to the Website as well as improper use of information contained therein is the sole responsibility of the user. JERZY DROZD shall not be liable for any consequence, harm, or damages that may arise from such access or use. JERZY DROZD and the user, expressly waiving any other jurisdiction, submit to the jurisdiction of the courts and tribunals of the JERZY DROZD domicile for resolution of any dispute arising from access or use of the Website. The validity of this document, last updated on February 16, 2016, will govern as its exposure is maintained.